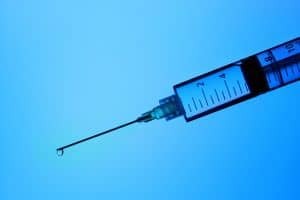 As interest in biologic therapies for arthritis-a needle, not a knife-continues to expand; patients increasingly are turning to the ads in newspapers or searching the Internet to gather information on this topic. While there is still a lack of scientific consensus on the use of biologics, it is most important for those seeking information not to be misled. My own analysis of resources for patients seeking on line information about biologic therapies for arthritis is that the overall quality is very poor and anything but scientific. Even worse, is a seminar, neither a reliable or credible source of scientific evidence. Biologic therapies consist of stem cells, platelet rich plasma product and bone marrow aspirate concentrate. New research, I co-authored and that was published last month in The American Journal of Orthopedics: Safety and Efficacy of Micro-Fractured Adipose Tissue for Knee Arthritis, is indicative of the ever-evolving nature of Regenerative Medicine. Biologic therapies and their use in arthritis or musculoskeletal injury in general are an area of vast research and interest within the medical field. Understanding the information online and the misinformation provided at seminars pertaining to biologics allows me to tailor my conversation and address commonly found inaccuracies. The use of Biologic Therapies is expected to significantly increase in the coming years as our knowledge advances on the use of such. That initiative will be led by well informed, well-educated Board Certified, and Fellowship trained specialists. Unfortunately owing to the relative lack of oversite at present, every type of charlatan, parasite and camp follower can buy an ad for a seminar or produce a web site on the internet. How then should a patient with pain and limited function from arthritis seek to postpone or avoid surgery without becoming a victim of the cord blood or amniotic fluid hoax? Your physician must complete a comprehensive medical history, physical examination and review of diagnostic studies. Present a balanced assessment of the current scientific evidence. Woe, while writing this Blog, I was just notified about acceptance of yet another scientific article by a peer reviewed medical journal in which I am the senior author: A Specific Protocol of Autologous Bone Marrow Concentrate and Platelet Products Versus Exercise Therapy for Symptomatic Knee Osteoarthritis; a Randomized Control Trial with 2 Year Follow-up. Hopefully some time soon, a Biologic Arthroplasty will be possible; but until then, a Total Joint Replacement is still a necessary option for those not meeting specified inclusion criteria for biologics. To see what treatments may be possible for your arthritic generated pain call (847) 390-7666 to schedule a consultation. Visit my website www.SheinkopMD.com for additional information.